AI technology can create studying courses, it can help people learn effectively. While we slowly include a technology-driven style into all the spheres of our everyday life, it’s obvious that computers, IT and AI have already been helping us not only with household chores but also with other important things. When we hear about technologies – we may immediately imagine video games and VR or new smartphones. However, we shouldn’t disregard more serious matters, such as AI in education. Students and teachers don't have to dream about computers in class anymore, and now they have even more – assistance, personalization, a scholar-focused system of studying and much more possibilities, which we're going to discuss in this article. Sure, AI cannot simply replace the teacher yet, and will probably never do it as robots are not on that human level which is needed in the classroom, but it can already help teachers win some free time. Whether they will be developing new skills, communicating with students or preparing for next interesting lessons, AI can give them a good amount of time and save the strength teachers use to focus on this annoying work. All possible tests and paper grading are already available. Leaning gets more individualized and student-focused; that’s why it makes education today better and a lot more functional. 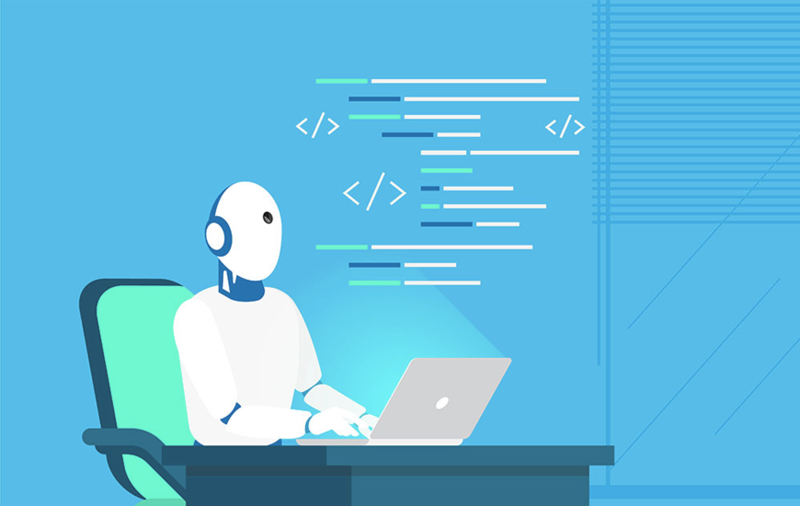 Due to AI being an assistant teacher became students’ mentors while special systems created the best-individualized studying course for every scholar. It works and changes every time the program sees a flaw, giving students additional questions about harder topics, hints for answers and creating a perfect pace of studying. For now, technology tutoring is not perfect, but AI can already help kids or the ones grabbing a new subject to learn with basics, making it possible to not involve real living teachers at the beginning of the process. Of course, technology can’t make an interesting and creative studying course as a human professional, but it still rids students of using writers from essayontime when they don’t have time for real tutors. Year after year, AI is developing and giving us a glimpse of student help. It’s always scary to be put on the spot and get judged by your teacher or classmates when you make a stupid mistake in the test or essay. With better education, AI tutoring and grading system, it won't be as intimidating to get your tests checked and receive the grades. Moreover, it can help students build the courage to study and express themselves more when they want to test their knowledge and coping skills. When you have so many things to experience on the internet, it also gives you huge possibilities like educating yourself and even getting a degree online. With a list of web-courses and even universities available online it’s not a surprise to receive a diploma even if you’ve never visited the building of your university. Most important is that it’s helping in improving education for those who are not fluent in certain languages or have hearing or visual impairments. For example, some programs can create subtitles for the ongoing lecture right in the classroom. Obviously, with a bunch of new technologies coming our way, both positive and negative changes in our lives are inevitable. Even if AI can’t completely substitute all teachers in the classroom yet, it has already become an amazing opportunity for everyone who's a part of the educational process. It doesn’t matter if it’s inside or outside the basic classroom; it’s amazing how far it's come. AI technology can create studying courses, it can help people learn and write papers, and it can already check those tasks on a basic level. Who knows, maybe sooner or later classrooms will look like old movies and cartoons about the future, and students will be surrounded by human-looking androids only.